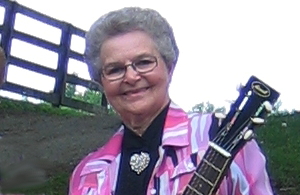 Diane McKoy has been in bluegrass and country music more than three decades. Her history with Gospel Music goes back to her childhood. Diane also grew up in a Christian home and accepted Christ as her personal Savior at an early age. From an early age Diane was passionate about music and television, enjoying such programs as Hootenanny, Serendipity, and Hee Haw. She gives God all the glory for healing her of a large stomach tumor and duodenal ulcers. For many years she has been involved in the music industry, forming more than fifty singing groups and working bands, and is a recording artist in her own right. Diane is credited with forming New York City's first and only known Bluegrass Gospel band, NYC's Singing Conquerors with co-founder Russell Scholl, and the band played together for thirteen years. For nine years, Diane formed and sang with a second NYC Bluegrass Gospel band that she founded in 2002, Diane McKoy and A Small Few. McKoy's friend and reigning patriarch of bluegrass music, the legendary Dr. Ralph Stanley along with James Alan Shelton dubbed her the Queen of NYC Bluegrass Gospel because she carried the Gospel Music Torch for so long. Mildred Statzer is one of the all-time favorite Southern Gospel, Bluegrass, Country, and Olde Tyme Gospel recording artists in the country. 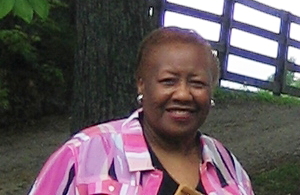 Mildred was born in the Appalachians, came out of a Christian family and as a child accepted Jesus as her Savior. She too has been a part of several reputable Gospel music groups, including The Gospel Melodies. These groups traveled all around the Appalachians, into North Carolina, Tennessee, Virginia, Maryland, and Michigan, and recorded many LP albums and cassette tapes. More recently, Mildred has recorded five CD's as a solo artist. She is also known for her songwriting of more than sixty gospel songs, and her seemingly limitless instrumental ability, including harmonica, bass guitar, acoustic guitar, Dobro, autoharp, piano, mandolin, and clawhammer banjo. Together, these two ladies formed Gospel Music Arts. According to Diane, through this organization they hope to bring syndicated, positive, one-of-a-kind programming to a deprived world lacking in these cultural and spiritual benefits. 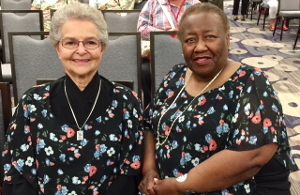 The main accomplishment of this group is a telecast, Diane and Mildred’s Gospel Music Arts. The duo of Bluegrass and Country Gospel Music known as Diane and Mildred have broken new ground for TV and duet performances, achieving far-reaching impact on lives of their viewers and listeners. Because Diane and Mildred's paths convene, this alone constitutes an eye-opener. They lived worlds apart for the first five years of their ministry and by God's grace, their alliance proves to be a powerful contender for a wide audience eager for spiritual fulfillment. Diane and Mildred with the GMA Bluegrass Band have released their second CD titled, Pickin' N Singin' Gospel Songs in the Country Volume ll. Fans of Bluegrass and Gospel - and especially fans of both - are certainly finding a rare treasure in this traditional American music lovingly created for spiritual edification.The now famous bluegrass duet sounds of Diane and Mildred have graced both radio and television as well as countless stages. Their earnest devotion to the Gospel is evident in the heartfelt timbre of their singing, which strikes the listener's ears with an untrammeled beauty and warm, friendly tone. David Castle, a producers-and-engineers GRAMMY Award winner for bluegrass mixing album of the year 2002 expressed: "It's so interesting and appealing to listen to Diane and Mildred sing. Mildred has a more traditional Appalachian straight timing way of singing, while Diane's timing moves around (syncopates)". They might strike a person as being the most unlikely to match together, but actually, their sound together is divinely amazing. Together their voices uniquely blend with charisma. Their singing is influenced by each other's singing and each one finds herself in the other's singing and together they build great momentum."